Every so often a new poster is shared here for a limited time. Non profit use only and conditions apply. Please let us know if they make a difference! 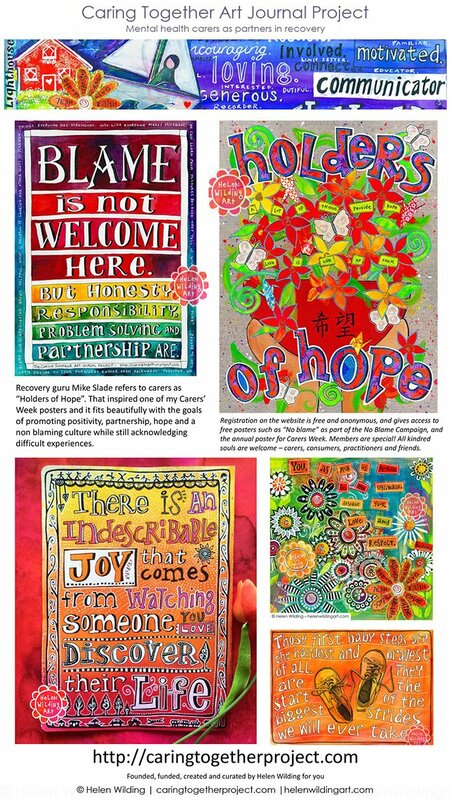 Free poster promoting a non blaming culture to create partnerships in recovery. 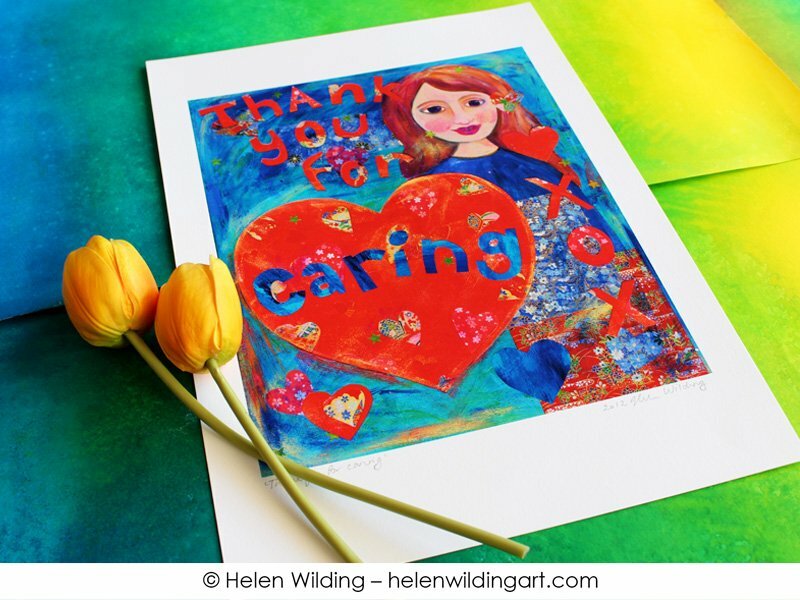 Artwork by Helen Wilding. 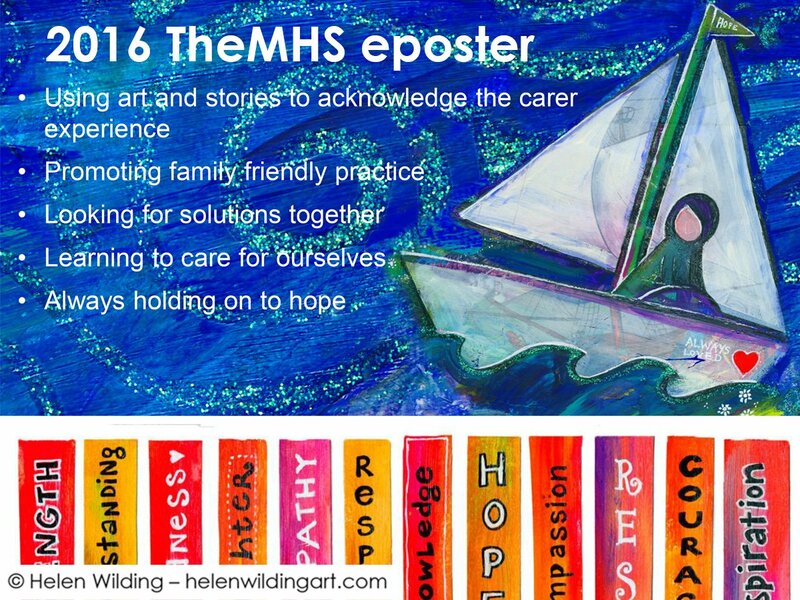 8 posters sharing the carer viewpoint prepared for the 2016 TheMHS Conference in New Zealand. 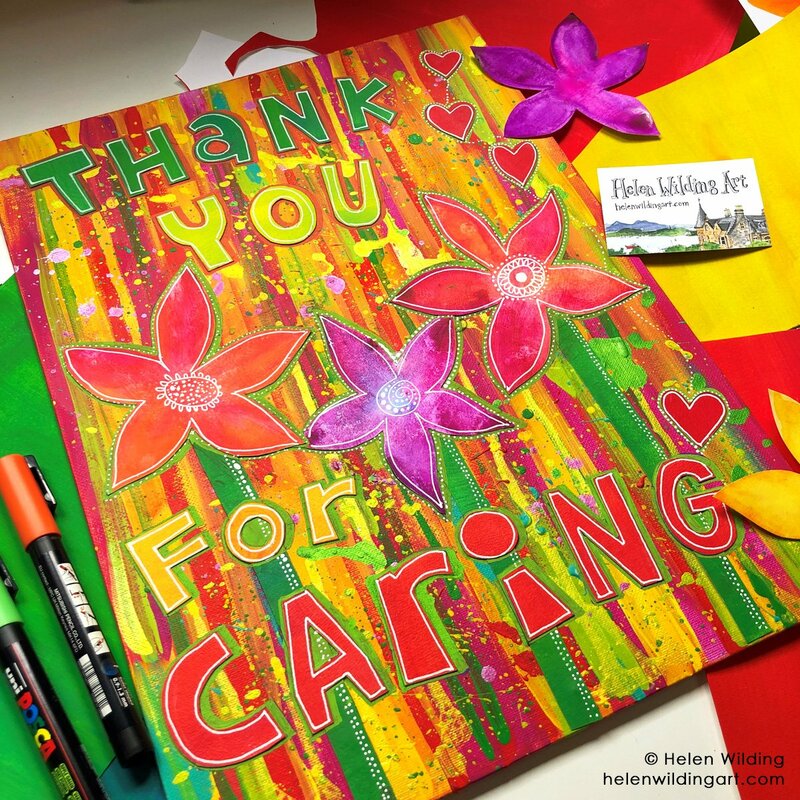 Artwork by Helen Wilding. See below for thumbnails. 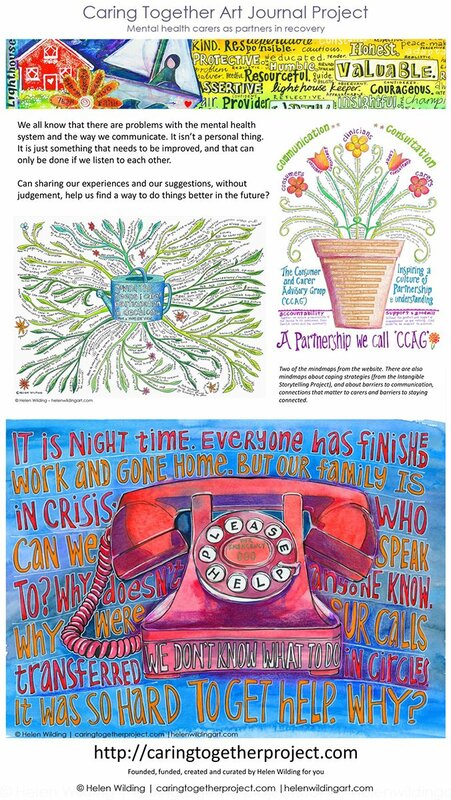 A set of 8 posters created by Helen Wilding to share the experience of mental health carers. Non profit use only and conditions apply. Please let us know if they make a difference! 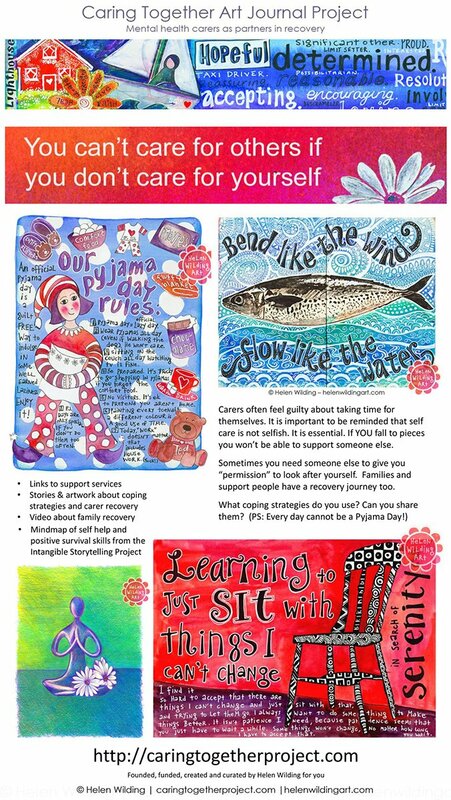 For the last few years I have shared special posters to celebrate Carers Week. 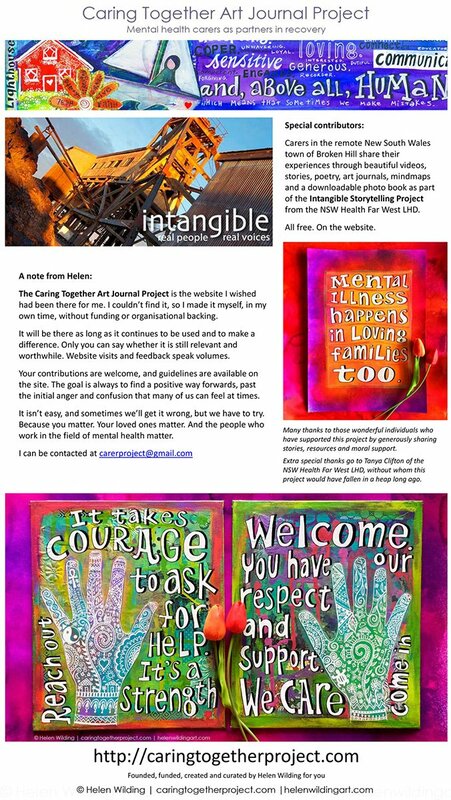 These are only available to registered members for a very limited time, and are advertised in my newsletters. If you would like to know when a new one comes out make sure you register! Enjoy! 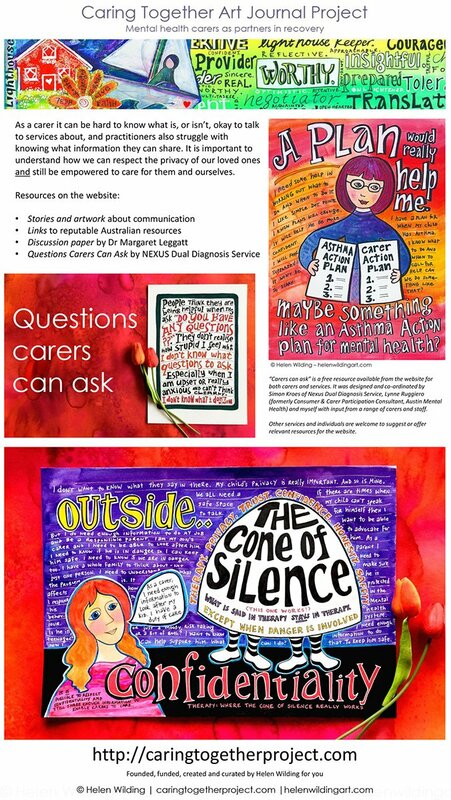 Free poster shared with members only for Carers Week 2015. 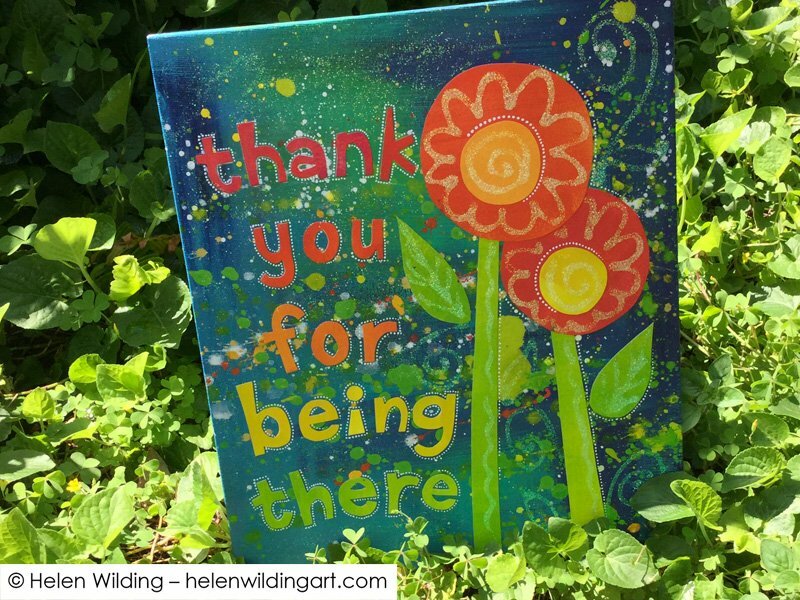 Thank you for being there. 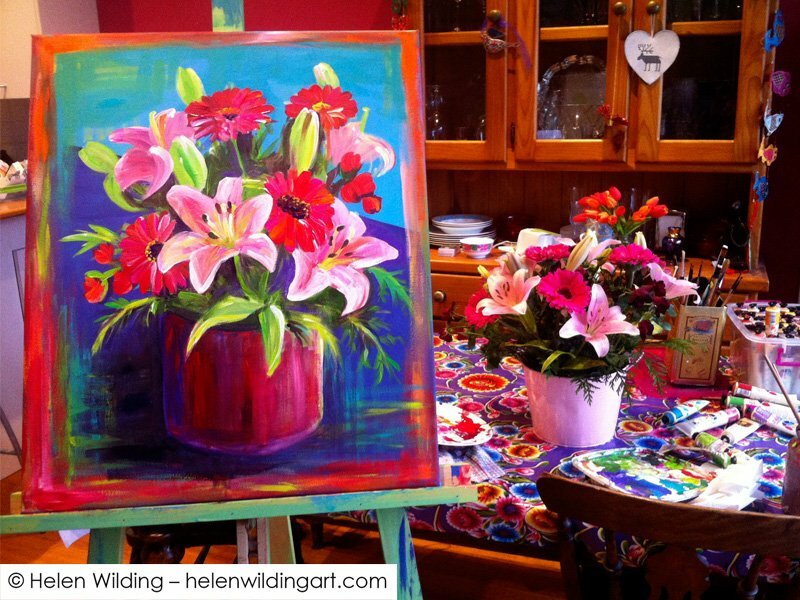 Mixed media artwork by Helen Wilding. 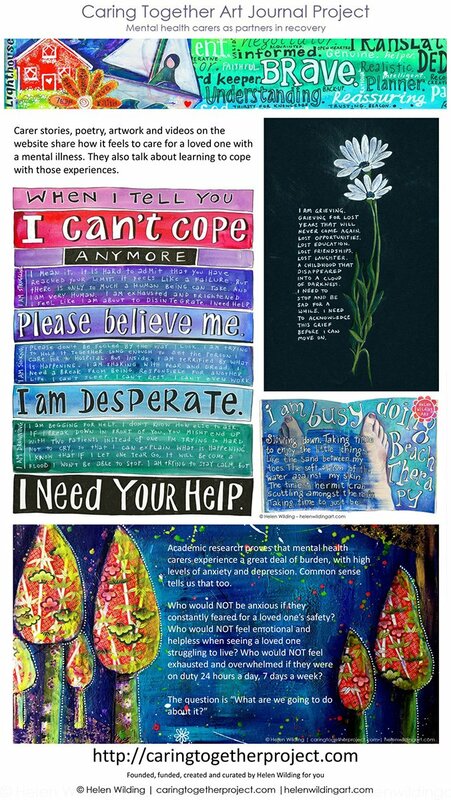 Other types of printable resources shared by individuals and services …. YAY!!! Conditions apply. Please let us know what you think! NEXUS Dual Diagnosis Service in Melbourne shares a list of questions mental health carers can ask about treatment or discharge from a hospital or service. List of 280 carer strengths to get you started. 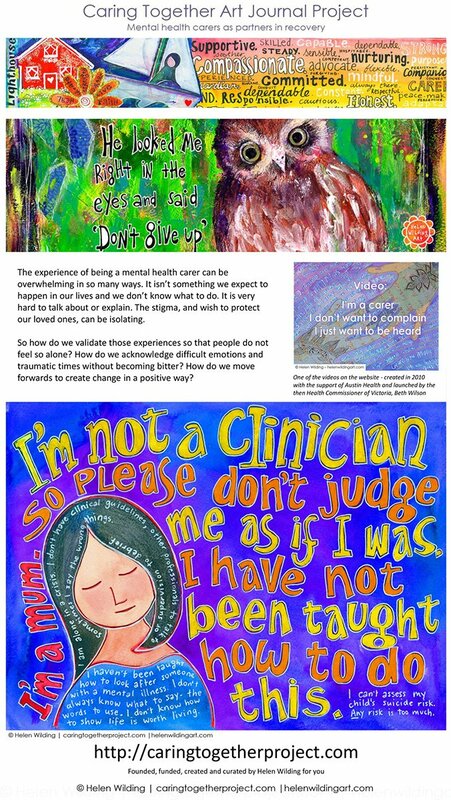 Let’s change the way we talk about mental health carers. All of your pictures are so wonderful and powerful! Will you make more of them available as posters?? 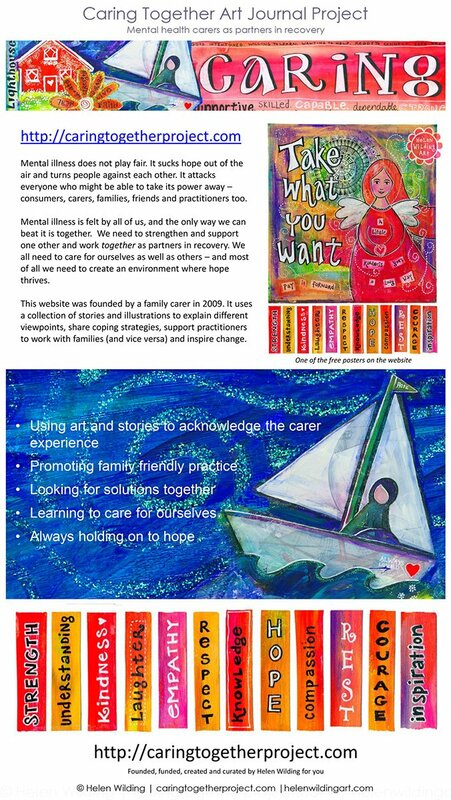 We’d love some for our waiting room and drop in service (youth mental health) and for our carers/family room. Hi Melissa – There is a limit to how much we can make downloadable from our site (for obvious reasons) – but you are welcome to contact me with more details about what you would like (and why) and we can discuss it. I’m sure we can come to some arrangement. And thanks for the feedback – always appreciated!